The tradmark is a particular company symbol by which the products and services of a company are or are to be known on the market and potential customers and business partners may identify them. At the beginnging of an incorporation of an enterprise there usually is an idea and the effective implementation of it. Thus, first af all a corresponding business plan should be created and also the financing volume clarified. Under the umbrella term Company Symbols all names used in the course of trade, titles of printed work, equipment of goods, logos, etc are summarized. A special feature is the trademark by which the products and services of a company are or should be known on the market and potential customers and business partners may identify them. Trademarks may represent a considerable company value (eg Red Bull, Coca Cola, et al) and thus contribute significantly to the entrepreneurial success and are the basis for this, respectively. In order to hinder competitors from exploiting a trademark it is necessary to protect it by legal means, ie register with the trademark register of the (European) Patent Office. A distinction is made between pure word marks and (word-) figurative and tone marks. Unregistered trademarks are protected against secondary meaning, only, ie if they have gained some awareness within the relevant public and may be proved – however, the respective risk is high and above all unnecessary if you have your mark protected in good time. Of course there should be a commercial firm name and domain in addition to the trademark. Basically, the principle of priority applies; ie the owner may avoid that third parties use the same or similar signs without his consent to identify their identical or similar goods and services when there is a prove of a prior hallmark and respective secondary meaning. This may result that the owner of a prior, identical or similar sign may request the deregistration of a trademark or transfer your firm name and domain, respectively. Moreover, there could be civil and criminal consequences, too. We therefore strongly recommend that you have us carry out a thorough trademark / label research in advance in order to minimize the risk. At most expensive “opposition proceedings” in which a competitor defends itself against the registration of your trademark should be avoided. The term of protection for a registered trademark is usually 10 years and may be extended, arbitrarily. With the day of proper registration you obtain the right of priority. A trademark must have a certain degree of distinctiveness (terms of common parlance may not be protected by trademark law) and must not serve to deception (eg about the origin, type of service or product). We would be glad to check for you if your tradmarks are protected sufficiently and do not conflict prior rights of third parties. For deciding what group of goods or services fit your needs best you may use the Nice Classification to determine. We are happy to advise you individually and personally and clearly present the charges associated with registration of trademarks. At the beginnging of starting a business of an enterprise there usually is an idea and the effective implementation of it. Thus, first af all a corresponding business plan should be created and also the financing volume clarified. At this stage of process you should involve and consult a (legal) advisor that has your confidence, already. If one or more persons intend to start a business they have to decide what legal form would be the most appropriate. In this course especially issues regarding liability and tax have to be considered and benefits and detriments analysed. A professional and comprehensive advice is the key to your success. Last but not least, it is about to find a reliable credit institution (business and private accounts have to be separate) and get asured the financing. If the entire capital may not be raised at once a co-operation with private equity partners would make sense. A sole trader may be registered with a commercial firm name (trademark) with the companies´ register, eg with a fantasy name and the compulsory term e.U. To incorporate a private limited partnership (OG) at least two (or more) persons are necessary. The possibility to register a commercial firm name (trademark) with the companies´ registers is here available as well. This private limited partnership (Kommanditgesellschaft) comprises at least one sharholder (Komplementär) who is liable privately and without any limitation and one shareholder (Kommanditist) whose liability is limited with his “Haftungseinlage” (meaning: limited with a certain amount). The Gesellschaft mit beschränkter Haftung is a limited liability company and may be incorporated even by one (natural or juristic) person and thus has one or more shareholders. 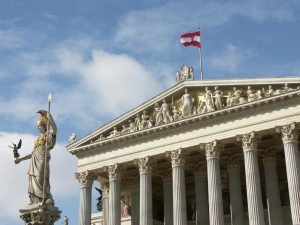 The shareholders of an Aktiengesellschaft (public company) participate with an equitable interest without any personal liability. A registered society is a voluntary society on a continuing basis on the grounds of bylaws of at least two persons to persue a specific common non-material purpose. In practice there are numerous reasons why shareholders do not want to appear in the companies´ register. Whatever your motivation is, we are happy to takeover the trusteeship for you (HAI Smart Equity).